Not to be confused with the unrelated WORLD SEQUENCE song Beyond the Ocean, from KEYBOARDMANIA 2ndMIX. BEYOND THE EARTH's pop'n music banner. BEYOND THE EARTH's ポップンリズミン jacket. Beyond The Earth's REFLEC BEAT jacket. BEYOND THE EARTH is the first song in the CONTEMPORARY NATION series of songs. A long version of BEYOND THE EARTH appears on the pop'n music 12 いろは ♥ CS pop'n music 10 original soundtrack, as well on 猫叉Master's first album, Raindrops. BEYOND THE EARTH marks the first appearance of Naoyuki Sato in BEMANI. 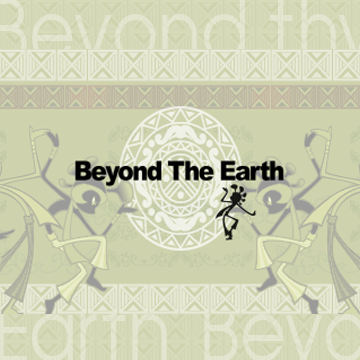 In beatmania IIDX and REFLEC BEAT, BEYOND THE EARTH's title is capitalized as Beyond The Earth. In the older versions of pop'n music 10 CS (SLPM-65769 or SLPM-65770), and the arcade releases of pop'n music 13 カーニバル and pop'n music 14 FEVER!, BEYOND THE EARTH's artist was misspelled as 猫又Master. In the "KONAMI the Best" version of pop'n music 10 CS (SLPM-66210), BEYOND THE EARTH's artist was corrected to 猫叉Master. It was also misspelled as 猫又Master in Beyond The Earth's REFLEC BEAT jacket. This was corrected to 猫叉Master on March 30th, 2015. In pop'n music 13 カーニバル, BEYOND THE EARTH's songwheel genre was misspelled as コンテンポラリーネーション. In Beat'n Groovy, BEYOND THE EARTH's artist was romanized as NEKOMATA Master. On the iTunes page for Raindrops, BEYOND THE EARTH's title was capitalized as Beyond the Earth, while the artist was romanized as NEKOMATA-Master. BEYOND THE EARTH was added to the BEMANI Category folder in pop'n music Sunny Park. Despite that its sequel, サヨナラ・ヘヴン, made its arcade beatmania IIDX debut in beatmania IIDX 17 SIRIUS, Beyond The Earth did not appear in an arcade beatmania IIDX game until beatmania IIDX 22 PENDUAL, unlockable in the Chrono Seeker event. Beyond The Earth uses a wide video frame with black borders, even though the video is in pre-tricoro aspect ratio. In beatmania IIDX 23 copula, its charts could be purchased with PULACO tickets from February 3rd, 2016. As of beatmania IIDX 24 SINOBUZ, it is available by default. Beyond The Earth received a new set of Double charts in beatmania IIDX 22 PENDUAL, including a brand-new Double ANOTHER chart with Charge Notes. Beyond The Earth could be unlocked in REFLEC BEAT groovin'!! Upper as part of the 7th Set (Users' SELECTION) of the BEMANI MUSIC FOCUS unlocking system. It could be unlocked after unlocking the other songs of the 7th Set. Beyond The Earth was first place among the 30 possible song picks for the set. Its SPECIAL chart could be unlocked via the BEMANI MUSIC FOCUS event as well after unlocking Beyond The Earth's BASIC/MEDIUM/HARD charts. 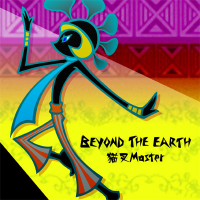 BEYOND THE EARTH received an EASY chart in pop'n music éclale on December 21st, 2015. After being removed from the initial release of REFLEC BEAT 悠久のリフレシア, Beyond The Earth was revived on November 22nd, 2017. Beat'n Groovy difficulty rated from 1 to 8.
beatmania IIDX difficulty rated from 1 to 7+ in beatmania IIDX 9th style CS, and 1 to 12 from beatmania IIDX 12 HAPPY SKY and beyond. EASY chart: total notes: 183. This page was last edited on 1 April 2019, at 03:27.